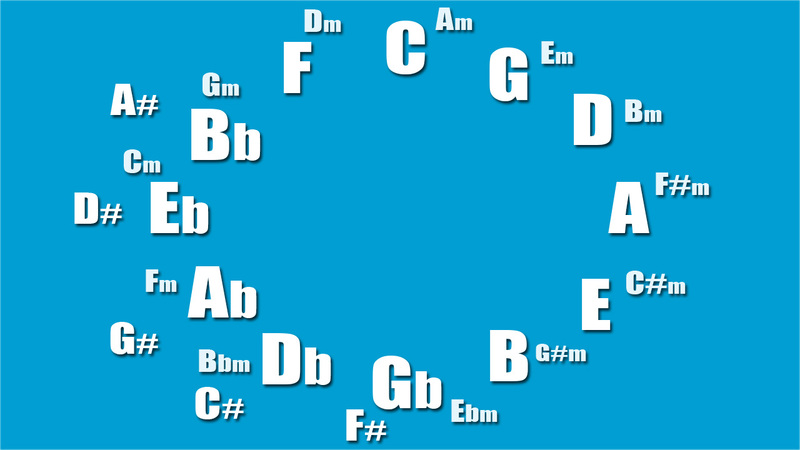 In this lesson I examine how the Circle Of Fifths is created, and offer some ways to commit it to memory. Below is a printable image of the Co5s, I strongly encourage you to print it out and put it somewhere you spend ages looking – above your bed, next to a bathroom mirror, etc. In the next lesson, I’ll be examining some cool song-writing tips using the Co5s. You can find that lesson here.